28 December 2017, 06.00 pm. 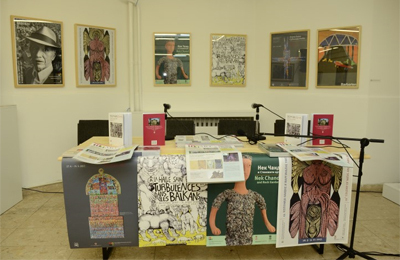 A successful work year of Museum of Naïve and Marginal Art was competed with the Promotion of new volume of the journal MNMArt No. 6 and Calendar for 2018, Collection of papers 12-17 and exhibition of posters and other advertising materials which accompanied exhibiting and publishing activities of MNMA in 2017. The Calendar is dedicated to current exhibition Turbulences on the Balkans. The author of text was Nina Krstić, and design was done by Slobodan Štetić. 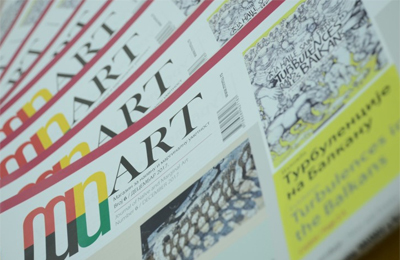 New bilingual volume of the journal MNMArt number 6 contains numerous articles written by domestic and foreign authors about the activities of MNMA in the period May - December 2017, together with the articles from other galleries and museums in the domain of naïve and marginal art. 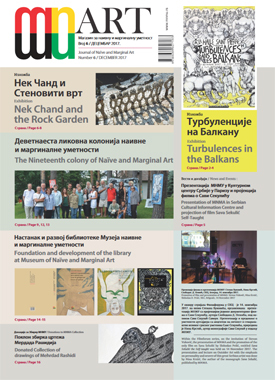 New edition of Collection of papers contains numerous articles about the activities of MNMA in the period 2012-2015, together with the articles from other galleries and museums in the domain of naïve and marginal art. 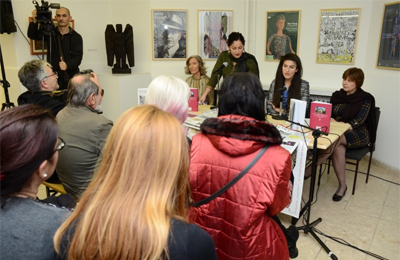 Nina Krstić, Ivana Jovanović i Nina Ljubomirović gave speeches about the projects realised in 2017 and the latest editions of MNMA. 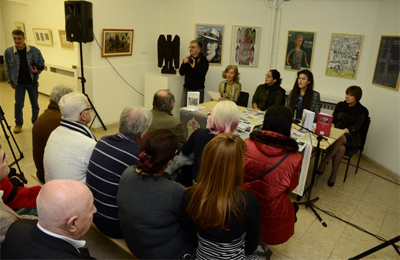 During the promotion of a new edition of Collection of papers, Museum art journal and Calendar for 2016, numerous audience was informed about the most significant events which marked the year. 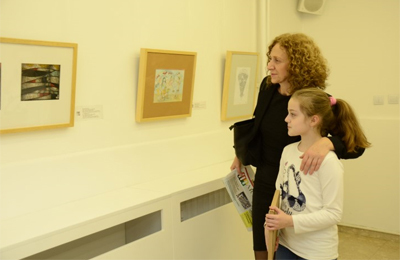 The total of 20 various projects were realised: 4 monograph exhibitions, 2 international events and accompanying exhibitions, 5 thematic and study exhibitions, 4 art workshops and 6 presentations. 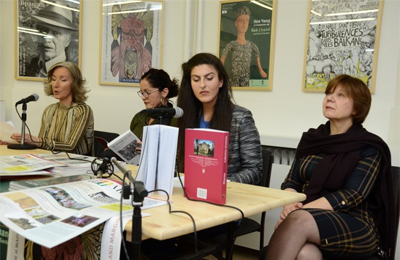 Besides Serbia, the exhibitions were held in Czech Republic, France and India.